Continuing on the Downtown Historic Movie Palace Tour, this all that remains of the auditorium to the Michigan Theater in Detroit. The Michigan was built in 1926 by the architectural firm of Rapp & Rapp as a concert hall and movie theater. In the 1970's the theater hosted many rock concerts featuring the top acts of the day. 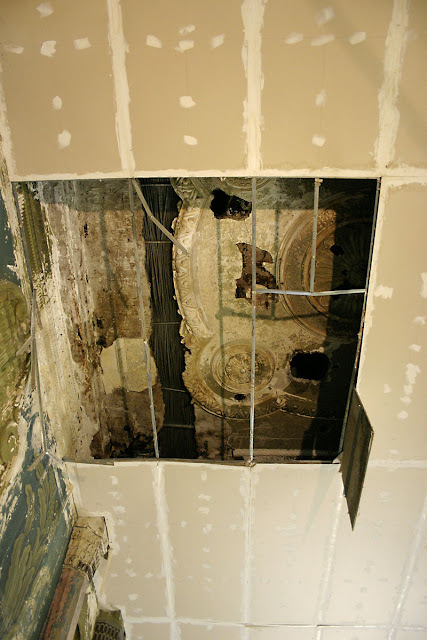 It was during this time as a club/concert venue that the theater began to fall into decline. Finally, in 1976, the theater was closed and demolition began. However, due to problems with the structural integrity of adjoining office building, the main hall and lobby were gutted and converted into a parking structure rather than demolishing the theater completely. 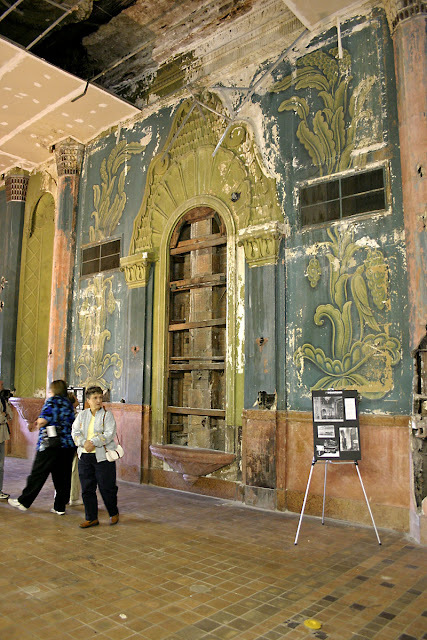 Preservation Wayne conducted their largest annual tour on August 18th, their Downtown Historic Movie Palace Tour. 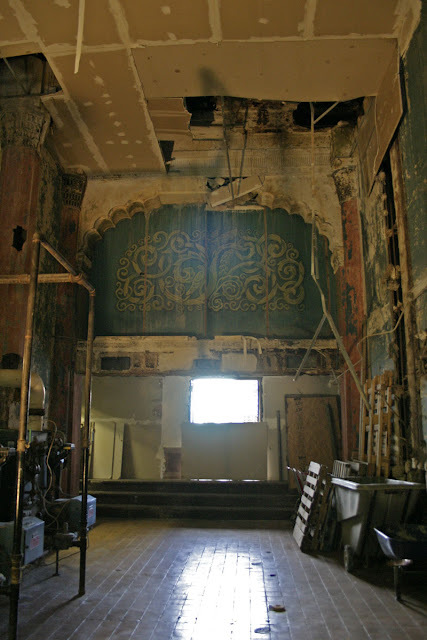 Here is a glimpse at the remains of the lobby to the Oriental Theater. The Oriental Theater was located on West Adams Ave. It was the only atmospheric theater ever be built in Downtown Detroit. The Auditorium was demolished in 1953 but the attached building where the lobby was located still exists today as the Park Apartments building. Water Winter Wonderland has some additional, earlier photos of the lobby. 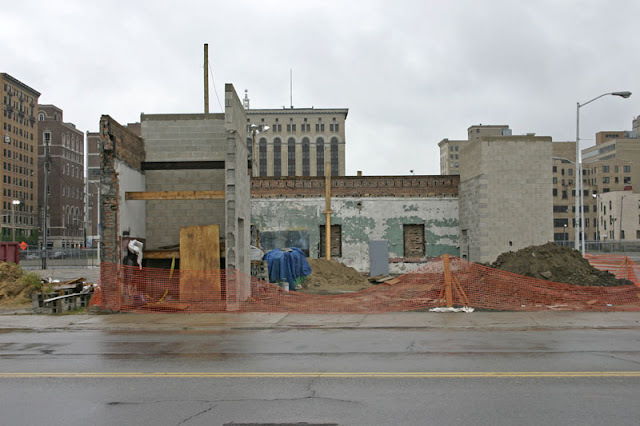 If you recall, this past spring I speculated that demolition and reconstruction of the CC Bar was an effort by the owners to inflate the value of the property in order to extort more money from Olympia Development. Olympia has been buying more land behind the Fox Theater causing widespread speculation that this is to be the location of a new arena for the Red Wings. I stopped by today to see if any progress had been made on the bar as work papered to have stalled over the summer. Far from there being any progress, the bar seems to be in a state of deconstruction once again. 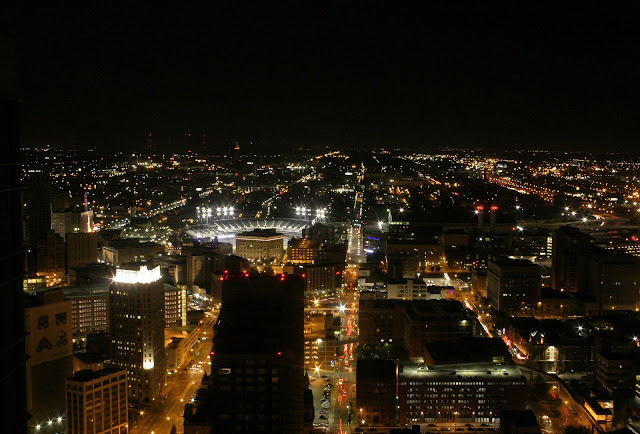 While a new expiration date for the Red Wings lease at Joe Louis Arena has been determined, I am left once again to speculate. 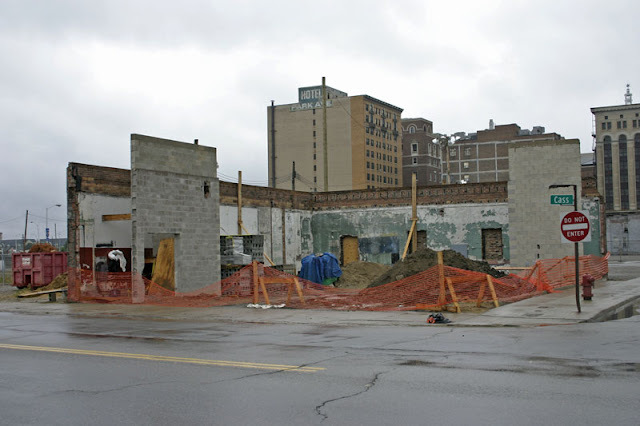 Have the owners finally sold out to Ilitch, or did the building inspectors determine some flaw in the construction that is forcing the builders to start from scratch?